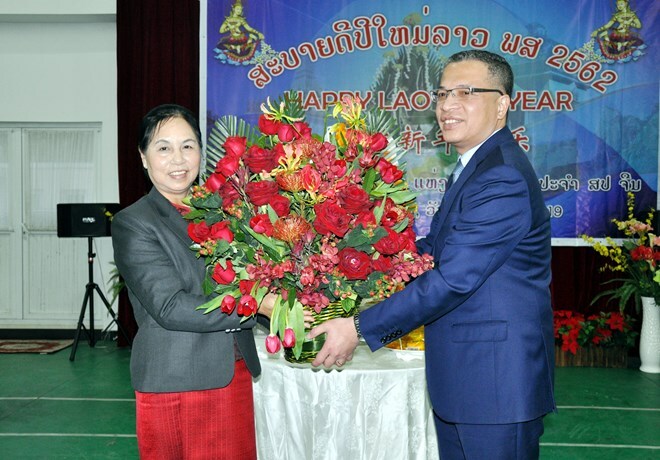 Beijing (VNA) – Vietnamese Ambassador to China Dang Minh Khoi paid a visit to the Lao Embassy in Beijing on April 9 on the occasion of the traditional Lao New Year festival, Bunpimay. Khoi wished Lao Ambassador Vandy Bouthasavong and the embassy’s staff a new year of health, happiness, and success. The two ambassadors reviewed developments in the Vietnam-Laos friendship, special solidarity, and comprehensive cooperation. The two embassies have continuously cooperated closely and affirmed strong support for each country’s cause of national building and defence. They have also coordinated effectively in bilateral diplomatic activities and within the framework of the Association of Southeast Asian Nations.